Posted on Thu, Apr 5, 2012 : 5:59 a.m. It's still early in the 2012 election season, but politicos in Michigan already are looking forward to a good showdown in western Washtenaw County later this year. The likely matchup of Saline Mayor Gretchen Driskell, a Democrat, challenging Rep. Mark Ouimet, R-Scio Township, for his House seat has the attention of party leaders on both sides. Rep. Kate Segal, Democratic floor leader in the state House, joined Driskell at her campaign kickoff event last week at the Mangiamo Italian Grill in Saline. "I'm planning on working really hard to bring our state forward," Gretchen Driskell told a crowd of supporters in Saline. "We're in the 21st century and we're not making 21st century decisions in the Legislature in Lansing." Right now, 63 of the 110 members in the Michigan House are Republicans. The Democrats need to pick up nine seats this year to regain the majority, and they're hoping Driskell can help. "Right now we are nine votes shy of being able to stop the awful policies that are killing the middle class in Michigan — nine," Segal said, rallying a crowd of several dozen supporters. "And the path to getting back to 56 and taking back control of the House goes right through Washtenaw County. We have got to take this seat back." But some are predicting a Ouimet win already. County Clerk Larry Kestenbaum, a Democrat, said it's possible for Driskell to win in the new 52nd District, but he'll be placing his bets on Ouimet. "I think Mark Ouimet is likely to continue to hold the seat for as long as he's allowed to have it under term limits, but the next Republican will have a harder time," he said. "Over time, that district will become more liberal, just like the old 52nd did." Matt Frendewey, communications director for the Michigan Republican Party, said the 52nd District race is going to be an important one for the GOP this year. He declined to discuss strategy but predicted Ouimet will come out on top again. "He's a great member of the caucus," Frendewey said. "He's well-liked in his district and we anticipate he'll have a successful re-election. Voters will find he's a small business owner and lifelong resident in the community and he doesn't forget where he comes from." It's already been stated that Driskell faces an uphill battle challenging Ouimet, who had more than $111,600 built up in his campaign war chest as of January. A close ally of Republican Gov. Rick Snyder, Ouimet won a previously Democratic district in 2010 and the district has been redrawn since to include more Republican territory. "Mark Ouimet is a fantastic candidate. He won this district when it had a Democratic edge and the numbers have improved," Frendewey said. "Mark Ouimet won that seat because he represents the values of the constituents in that district." Driskell, who left behind a career in accounting in Washington, D.C., to come to Saline in 1988, said she's crunched the numbers and she believes she can beat Ouimet. "That's my background, numbers and trends," she said. "So I looked at the numbers going back a few election cycles and I think it's winnable. I think it's going to be close. It's certainly not an easy win at all, but I definitely think it's winnable and I intend to work hard." The 52nd District seat — albeit with slightly different boundaries — was previously held by Pam Byrnes, D-Lyndon Township, who was term-limited in 2010. 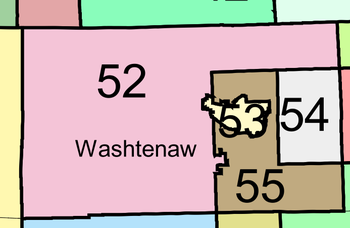 A look at the new 52nd District, as well as other districts in Washtenaw County. While riding a political wave in 2010 that saw the GOP gain control of the state House and increase its majority in the state Senate, Ouimet barely edged past Democrat Christine Green with 51.7 percent of the vote. Driskell admits she thought about running in 2010 but decided against it. A quick look at how voters within the new 52nd District boundaries cast their ballots in the 2008 presidential election shows it's possible for a Democrat to win in western Washtenaw County. Democrat Barack Obama won with 54 percent of the vote compared to John McCain's 44 percent in what would be the new 52nd District, according to an analysis of county election records. In fact, McCain only won in Sharon, Lima, Freedom, Bridgewater, Lodi, Saline and Salem townships, and by mostly slim margins, while Obama won by large margins in the cities of Chelsea and Saline, as well as by a 7,709-3,772 landslide in Scio Township. In all, Obama came out nearly 5,500 votes ahead of McCain, including wins in Lyndon, Sylvan, Manchester, Dexter, Webster and Northfield townships. Of course, it was a different story in 2010 when western Washtenaw County voters came out in strong support of a Republican for governor. Snyder, who lives in Washtenaw County, won in every part of what would be the new 52nd District except for one precinct in Scio Township. Driskell acknowledges she'll be counting on riding the Obama coattails in 2012. The more Obama's campaign can get out the vote, the better Driskell is likely to do at the polls. Kestenbaum, who worked with Ouimet when he was a county commissioner, said he'll likely be supporting Driskell, but he thinks both candidates will appeal to voters in their own way. "There are a lot of moderate and liberal Republicans out there. For long-time Ann Arbor townies who are used to voting Republican, Mark is their kind of guy," he said. "But meeting Gretchen a few times and talking with her, she has that spark — you can't help but like her," he said. "That's a strength that she has that goes beyond partisanship. Ouimet has some of that, but in a different way. He's not as charismatic." When Ouimet announced his re-election bid in early March, he touted himself as an effective leader for Washtenaw County with a willingness to reach across party lines. He said creating jobs and strengthening Michigan's economy must remain a top priority in Lansing. State Rep. Mark Ouimet, R-Scio Township, addresses the Washtenaw County Board of Commissioners recently about the Dexter tornado cleanup efforts. "The simple truth is that Michigan can't go back to the days of the past, when people's hard-earned tax dollars were spent without regard for actual results," said Ouimet, who mostly toed the party line to help push forward the governor's agenda in 2011. Retired Saline Police Chief Paul Bunten, who served in law enforcement for more than 47 years, is supporting Ouimet's candidacy, as is Saline Area Fire Chief Craig Hoeft. Bunten said Ouimet is a strong voice for reform and he has always been responsive to the needs of local residents, individual communities and the region as a whole. Hoeft said he supports Ouimet because he's working to change the status quo in Lansing. "He's always been available to the city of Saline, answering our questions and concerns, attending meetings," Hoeft said. Driskell still thinks she'll do well in Saline, where she's in her 14th year as mayor after being on City Council for six years before that. She has been a commercial real estate agent for nearly a decade. "Saline people know who I am and they know I'm a rational thinker and that I support the community," she said. "I think they'll be supporting me." Among those who attended Driskell's campaign kickoff event were Pittsfield Township Supervisor Mandy Grewal; state Rep. Jeff Irwin, D-Ann Arbor; John Austin, president of the Michigan State Board of Education; former Ypsilanti Mayor Cheryl Farmer; Kent Brown, husband of former state Rep. Pam Byrnes; former Saline mayors Mark Hopper and Don Shelton, who is now a judge; several current and former Saline council members; Ann Arbor City Council Member Margie Teall; and County Commissioner Yousef Rabhi. "Gretchen as mayor of Saline and myself as supervisor of Pittsfield have worked very well together as partners for the general community of Washtenaw County," Grewal said. "I've known Gretchen for many years and I believe she comes to the table after a very well-thought-out process and she has a very strong belief system." Education is at the center of Driskell's campaign platform. In a speech to her supporters last week, she said the reason Saline has been so successful is because of its schools. "Everybody who comes to our community to move here and the businesses that move here move here because our school system is a great system," she said. Driskell points out Ouimet voted in favor of deep cuts to public schools and universities while giving corporations large tax breaks and shifting the state's tax burden to individuals. She's also concerned the state is taking away the rights of local governments to offer domestic partner benefits to their employees, another measure Ouimet supported. Rabhi, an Ann Arbor Democrat who is seeking re-election to the county board, said the state's decision to ban domestic partner benefits doesn't solve anything. "You're not balancing the state's budget by having the county not extend domestic partner benefits to nine of our employees," he said. "You're only going to discriminate against people based on their sexual orientation, which is absolutely wrong. I think Gretchen will be there to stand up against that kind of attack on basic human rights." Ouimet argues the structural reforms the Legislature approved last year are beginning to have a positive impact on the state and its financial outlook. He said the state's unemployment rate continues to decline, jobs are being created and the state budget has a small surplus. He maintains the controversial decisions the Republicans made over the last year are starting to bear fruit in several significant ways. "The latest example is with the governor's recent budget proposal," he said. "Who would have thought that in 2012 we'd be talking about what to do with a budget surplus, when only a year earlier we were forced to contemplate massive cuts due to a $1.5 billion deficit?" Ouimet said he supports the governor's latest budget proposal to restore some of the previously cut funding for schools, public safety and local governments. Frendewey said it seems that Driskell and other Democrats want to move Michigan back to the days of 14 percent unemployment and budget gridlock in Lansing. Republicans in Lansing are touting Michigan's 8.8 percent unemployment rate, the lowest rate in nearly four years. The state's work force grew by 14,000 in February. "Mark Ouimet made the tough decisions that other people refused to make and Michigan is starting to turn the corner because of that," Frendewey said. "We're starting to move ahead and make progress and candidates like Gretchen Driskell want to raise gas prices." "I've known Gretchen for many years and I believe she comes to the table after a very well-thought-out process and she has a very strong belief system," Pittsfield Township Supervisor Mandy Grewal said of Driskell. In her 20 years in office, Driskell said she's learned a lot about the importance of building a community, and she believes that's missing in Lansing. "I'm planning on working really hard to bring our state forward," Driskell said. "We're in the 21st century and we're not making 21st century decisions in the Legislature in Lansing. We're disinvesting in the things that will bring businesses to this state." Irwin, who worked alongside Ouimet on the county board for six years, said he's been disappointed in his former colleague's voting record in Lansing. "When I watch Mark Ouimet's votes, I don't think they line up with what our community wants," Irwin said. "I've worked with Rep. Ouimet for many years and I think he is a pleasant man and he works very hard at his job, but I've been very disappointed with his voting record — particularly with his voting record around education." Irwin believes Ouimet and other GOP lawmakers who voted for the education cuts know that's not what voters want and that's why they're moving to restore some of the cut funding. "The Republicans have said they're increasing funding for K-12 and increasing funding for higher ed," Irwin said. "To the extent that's even true, it pales in comparison to what they did last year when they cut over $1 billion out of school aid and when they cut our universities by 15 percent. We heard a lot about shared sacrifice, and the result of our budget process last year was that all of the sacrifice was shared by our schools and universities." Frendewey argued Republicans have made education a priority. "Fifty-three percent of all state resources in the budget last year went toward education," he said. "That's the highest it's ever been. Cuts had to be made all across the state." Fri, Apr 6, 2012 : 12:25 p.m. I don't know how Rep. Ouimet has the rep of a &quot;RINO&quot; or a moderate. He has only voted against the GOP agenda in Lansing 8 times during this term. He voted against the helmetless motorcycle law, Voted against a subsidy for electric car plant in Wixom, Voted against community colleges offering Bachelor degrees in certain fields, and took some votes about gravel pits and garbage dumps. On all other issues, increasing retiree taxes, cutting school funding, cutting business taxes, cutting the social safety net, Voted for limiting liability of corporations for wrongdoing. Look, I've met Rep. Ouimet. Very nice guy. However, he votes right along with the very right wing agenda of the Michigan GOP. If you are happy with that, Mark deserves your vote. If you don't agree with what the Michigan GOP is doing, you should vote for Mayor Driskell. Don't let the &quot;niceness&quot; of Mark fool you into believing he is a moderate. Not true. Fri, Apr 6, 2012 : 1:12 a.m. It's good that Gretchen is no longer getting paid to &quot;crunch[ed] the numbers&quot;. In 2008--a very strong D year--the new 52nd had a 48% R base, in 2010 it was 58%. She must have been doing some really fuzzy math to think she can win when half the district has elected Mark four times in a row. Fri, Apr 6, 2012 : 12:51 a.m. I live and teach in Saline and I fully support the accountability Mark Ouimet has asked of the education system in Michigan. Gretchen might not be so keen on spending taxpayer dollars on poor teachers if she actually had a job instead of living off a trust fund. Fri, Apr 6, 2012 : 12:25 a.m.
As far as I can tell, Mr Ouimet is not someone who &quot;reaches across the aisle&quot; very often. He has voted in favor of every right wing proposal or bill that has come forward. While he was a Washtenaw County Commissioner he did not appear to be in the pocket of the religious right or those who want to ruin the middle class, but unfortunately those are the things he has supported thus far. For the first time EVER money was taken from the K-12 School Aid Fund and given to Higher Education. When he took office there WAS a surplus in the School Aid Fund (contrary to the implication in this article) and he voted to move money from that fund to Higher Education. When he appeared at a Community Forum at Pioneer High School last spring and was asked about his vote, he did not have any sort of an explanation why the K-12 school had to suffer when there had been a surplus. The draconian cuts to schools last year was not necessary; the money was there, Mr Ouimet chose to spend it elsewhere so that businesses could receive a 1.8 billion dollar tax cut. Fri, Apr 6, 2012 : 12:19 a.m.
Gretchen needs to stay as Saline's double dipping real estate agent. Lansing doesn't need anymore Granholm dems. Thu, Apr 5, 2012 : 11:52 p.m.
Mark deserves to be re elected this fall as the Representative of the 52nd District - he is hardworking, approachable and is EVERYWHERE AT EVERYTHING! He is well respected on both sides of the isle in Lansing. As an independent voter, Driskell offers nothing and would be a poor choice to send to Lansing; She does not have the skill set to represent us and clearly does not understand the issues facing our state. Mark is a leader and will continue to do well for the citizens of the 52nd and our State. Thu, Apr 5, 2012 : 11:02 p.m.
Mark will WIN re-election. Gretchen will LOSE. Gretchen will not be remembered for being the Mayor of Saline. Gretchen will be remembered for losing to Mark. Gretchen plans to run for office by riding on Obama's tail. Sad way to end a political career. Fri, Apr 6, 2012 : 12:17 a.m. It seems that the word &quot;moderate&quot; is becoming as demonized as &quot;liberal&quot;. It is no sin to be polite, informed or &quot;accommodating&quot;. In fact, the latter trait (i.e. getting along, playing nice in the sandbox, reaching mutual consensus) is in dire need in our governments. I consider myself conservative, especially fiscally, and there is room in my camp for people with moderate views. I do not want my legislators to be lemmings but rather honest men and women who vote their conscience. Thu, Apr 5, 2012 : 9:20 p.m.
&quot;... with a media that won't mention it in the primary...&quot; Indeed, I'm not holding my breath that our media will suddenly become objective and support diversity of opinions. Thu, Apr 5, 2012 : 9:16 p.m.
What legislation, just out of curiosity? Thu, Apr 5, 2012 : 6:53 p.m.
Mark Ouimet has a background in banking and understands business issues. There is no denying he has been a hardworking and accessible public servant throghout his elected career. He has developed a good working relationship with his constituents. He deserves our vote this fall. Thu, Apr 5, 2012 : 6:49 p.m.
&quot;A close ally of Republican Gov. Rick Snyder, Ouimet... &quot;: Well, Mr Ouimet, please listen to Mr. Snyder when it comes to the new bridge to Canada. And don't listen to Moroun. Thu, Apr 5, 2012 : 6:36 p.m.
Let's Get Real here - being nice to the people in Saline, and selling houses &amp; Cabi clothes hardly rivals the business experience needed to make the hard decisions necessary to continue the state's economic recovery. Ouimet's banking background is more alligned with the tough fiscal decision-making that needs to continue to control spending. Besides, he was just elected, and even though he had County Commissioner experience, there was a learning curve at the next level. Do we really want another rookie, and one who is used to having a more definitive role rather than working collaboratively with a team? Gretchen is a nice lady, but not ready for the next level. Thu, Apr 5, 2012 : 7:37 p.m.
ffej440, I think you'll find many Republicans agree with you. The choice seems to be between spending too much and spending WAY too much. Thu, Apr 5, 2012 : 6:59 p.m.
Get Real- Republicans control spending??? Ever hear of Presidents Reagan, Bush or Bush, check the deficit numbers. A banker no less... Do you remember how we got in this mess. Trust a banker...just what government needs more of. Thu, Apr 5, 2012 : 5:58 p.m.
As a resident of the CIty of Saline, an employee of the City of Saline, and a registered Dem. I will NOT be voting for Gretchen. Thu, Apr 5, 2012 : 11:13 p.m.
Well where do I begin?? Lets see..how about the 100K pluse house that the City purchased on Monroe st so as Gretchen stated &quot;we would rather the city own it so we can decide what to do with it instead of the public&quot;, or how about the nearly 80k spent on &quot;be Saline&quot; campaign to draw people to Saline, or maybe the continued financial support of the Celtic Festival, or the 14k art project in downtown, or the downtown development authority position that replaced volunteers that used to plan downtown events, then there is the endless amount of money that she supports to spend on downtown...oh and did I mention who's name used to be on all the for rent signs downtown? Gretchen Driskell, Conflict of intrest maybe? How about her pushing to eliminate the police dispatch and outsourcing it to another agency. This list can go on and on and on... These few examples are all just in the last few years...while the City is &quot;in a dire state financially&quot; You are correct ffej440 I do live in a great city, I do have a good job and I'm looking foward to us finally getting a good mayor! Thu, Apr 5, 2012 : 6:39 p.m.
You must elaborate. You live in a great city, have a good paying city job (That didn't get outsourced like so many other cities are doing) and will NOT vote for Gretchen. If your &quot;taxedout&quot; you could move to Ypsi. Much lower taxes, I'm sure you'll love it. 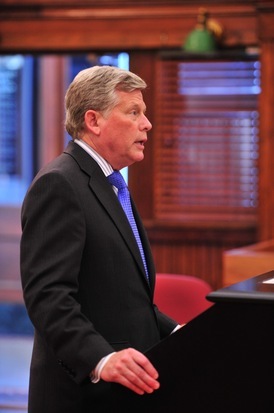 Thu, Apr 5, 2012 : 5:33 p.m.
Did Ouimet ever pay back the money he owed the county from his time as commissioner? Thu, Apr 5, 2012 : 6:54 p.m. Yes. Every penny. Unlike a number of others. Thu, Apr 5, 2012 : 4:14 p.m.
Thu, Apr 5, 2012 : 6:56 p.m. I am sure Larry would not be violating any gambling laws. LOL Is any one, by the way, running against Larry? Thu, Apr 5, 2012 : 5:30 p.m. Please understand, all this talk about gambling is purely metaphorical. I am not looking to &quot;put money&quot; on anything, or place or accept any bets! Thu, Apr 5, 2012 : 3:29 p.m. I see this race between two Democrats, One is main stream, Ouimet and the other is on the fringe, Driskell. It's really too bad that their is not a real conservative in this race. Thu, Apr 5, 2012 : 2:34 p.m.
Thu, Apr 5, 2012 : 6:48 p.m.
No, they love Milan schools. Prehaps you never heard of &quot;School of choice&quot; anyone can go to Saline Schools. 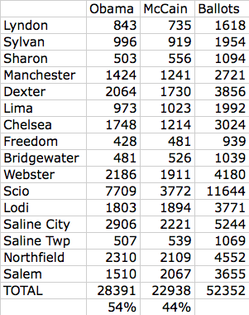 The big winner currently is Milan with many from Ypsi and Willow Run choosing them. Saline pays a higher property tax to afford our schools, while allowing anyone to attend. Whats your problem with that ? Thanks to Mark Ouimet for all of his hard work in making the tough decisions to improve our state and to take it in the correct direction; Driskell and all of her supporters (as evidenced by their comments in this article) are ready to continue down the same path that Jennifer Granholm led us down (and we all know where that took us!) We can not go backwards - Mark has my support! Thu, Apr 5, 2012 : 2:08 p.m.
Mark seems to be a decent well meaning guy, whose instincts are moderate, and doesn't want to trash women's rights or education. But, he is strapped (like Snyder) to the radical, middle class damaging, views of Michigan's ultra-rightist GOP. Unfortunately, it seems like that the commenters who say that he will win are probably right. Good luck Gretchen! Sat, Apr 7, 2012 : 4:23 p.m. I believe and hope that the Michigan GOP has some rather vocal members who are very loud and rather one sided while the majority are solidly less vocal, more pragmatic and well mannered. Seems to be the case of the ones that I know. I also think the loud folks are the reasons we have the presidential slate we do and will loose soundly in November. It's hard to win votes when you define yourself with myths about your opponent and not your own vision. Thu, Apr 5, 2012 : 1:37 p.m.
thanks to Mr. Ouimet I was able to appeal my property taxes this year. Sat, Apr 7, 2012 : 4:20 p.m. I believe the point is the Mr. Ouimet went quite far out of his way to communicate to people and hold town halls about the process and getting it moving. He is very &quot;on scene&quot; with folks about issues that impact them. He certainly did help some folks learn about the process and the ways to appeal. You always could appeal before Ouimet, What you mean is you didn't know how. He did nothing to make it simple, just brought a CPA to a workshop- Big Deal. Thu, Apr 5, 2012 : 2 p.m.
Did he pass a new law? Last I checked anybody was always able to appeal property taxes. I did it, with no help from Mr Ouimet. Thu, Apr 5, 2012 : 1:35 p.m.
Ouimet in a route! This one is not even close. My condolences to the Dems for convincing this poor woman (Driskell) to have to go through this torture. Even though the contest will result in a crushing Ouimet win, Mark will stay classy, respectful and demonstrates the character traits that have made him a community leader for decades. Thu, Apr 5, 2012 : 2:15 p.m. I agree - Driskell we be crushed and the most appropriate and talented candidate will win - Mark Ouimet! In August 2009 the unemployment rate in Michigan was 4.6% higher than the national average. 14.2% vs. 9.6%. The last time the unemployment rate was lower in Michigan than the national average was in late 2000 or so. It's now 8.8% in Michigan and 8.2% nationally. By this fall, it's likely to be lower in Michigan than nationally. If that happens, the Republicans will easily hold the House and Senate. Thu, Apr 5, 2012 : 9:23 p.m. Rob - excellent point. If he had gotten it down 5%+ like we have here in Michigan I'd absolutely support him. He inherited a mess. If he'd have gotten it down 3% I'd probably consider it. But there are still fewer jobs in the U.S. now than the day he took office. He's coming up on four years in the job. He didn't create the mess, but he owns the very, very slow pace of progress. He's our President, I want him to succeed, I just don't think he knows how. Thu, Apr 5, 2012 : 4:59 p.m.
As you noted, nationally in August 2009 it was 9.6% and now it is 8.2%. So does this mean Obama can count on your vote? Thu, Apr 5, 2012 : 2:16 p.m.
THhe Democrats fail to look at the numbers and for some odd reason want to go back to the days of the Granholm administration; sad that they feel this is the way they see our state; good luck to Mark - he will do well!! Thu, Apr 5, 2012 : 2:04 p.m.
Unemployment rates are not a good indicator to go by. In a state like Mi where many cuts have been made to the poor and middle class, folks tend to move away. Trust me, I rent moving trucks- people fleeing to other states skews your premise that life is better. Still no jobs- just less people here needing them. Thu, Apr 5, 2012 : 12:56 p.m.
Thu, Apr 5, 2012 : 12:53 p.m.
For the sake of the middle class and Saline Schools, Quimet has to go. Quimet need not worry about joining the middle class since his wife can support his hobby of bashing the middle class. Thu, Apr 5, 2012 : 12:44 p.m.
hehe. Fun to watch the anti-tax anti-career politician GOP get behind a tax raising career politician! Marks a nice guy, but too funny to see the flip flopping &quot;when it suits our needs &quot; folks go against their public pronouncements. Thu, Apr 5, 2012 : 12:35 p.m. Sat, Apr 7, 2012 : 4:16 p.m. I find this new practice within the GOP of calling people names disheartening and childish. It is a long overused school yard tactic which attempts to marginalize people without actually dealing with issues. It is also particularly poor manners. I am a Kirk conservative and a GOP voter my entire life. I cannot fathom this new party where our old values are now trashed and we try to tell people how to live their private lives and call it politics. This is unworthy of a &quot;Grand Old&quot; anything. Fri, Apr 6, 2012 : 3:34 a.m.
Thu, Apr 5, 2012 : 8:07 p.m.
Thu, Apr 5, 2012 : 12:46 p.m. I wasn't aware that Ouiment is a RINO; I may not vote for him if he doesn't support personal liberty and limited government. 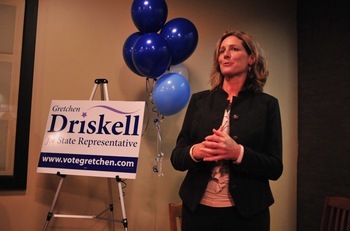 Thu, Apr 5, 2012 : 12:10 p.m.
Go Gretchen Driskell! Ouimet's extreme tea party agenda is not what this county needs to move forward. Thu, Apr 5, 2012 : 11:45 a.m. Killing the middle class, not supporting the schools, get real the democrats still don't understand the consequences when they can not control the budgets, some cuts were made granted but now the State has a surplus and the schools are getting some funding back, very contradictory to what Irwin claims. I guess not being Going from a $1.5 billion to a surplus and schools getting 53% of the state resources how much more does Irwin and Drsikell want 100%? Thu, Apr 5, 2012 : 8:58 p.m.
@Harry - Not sure where you're getting your information from, but there is plenty of research showing that charter schools don't perform any better (and sometimes perform worse) than public schools. http://www.mlive.com/education/index.ssf/2012/03/in_michigan_charters_results_n.html As for teachers retiring with a pension and health insurance after 25 years, that is possible ONLY if a teacher &quot;buys&quot; five years of service credit. Otherwise, teachers must work 30 years before being eligible to collect their pension and health insurance. This is actually longer than other state workers, such as police and firefighters, who only have to work 25 years before reaching retirement eligibility. Even if a teacher were to retire at 47 years old, a pension isn't going to be enough to live on. That person would have to get another job to supplement the pension. The bottom line is that teachers (and other state workers) were promised certain retirement benefits by the state as part of their employment package. To renege on those benefits in the middle of someone's career is dead wrong. Thu, Apr 5, 2012 : 5:09 p.m.
Why do charter school do so well with so much less money that public schools. Why is there a lottery for almost all charter schools. I know there is a waiting list in my community for charter schools. The teachers union has sucked the state dry. How do you explain teachers that are able to retire with pension and health insurance after 25 years. That is a 47 year old retiring. Work for 25 years and collecting a pension sometimes as long as 50 YEARS! WHO RETIRES AT 47 !!!!!! 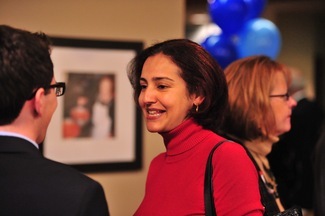 Thu, Apr 5, 2012 : 11:31 a.m.
Thu, Apr 5, 2012 : 5:01 p.m.
Harry- there is more to attracting companies than just one tax rate. Michigan was in the middle not the bottom as you suggest. Check it out , many studies online. What we are doing now is a race to the bottom. I'm sure Snyder would love a level playing field- workers in China make about $35 per month, is that what you want to earn? Thu, Apr 5, 2012 : 12:23 p.m. I agree with Snyders business tax. How do expect any potential company to make there home in Michigan when Mi had one of the highest corporate taxes in the NATION. Synder leveled the playing field. Now maybe Michigan may be able to attract businesses to our state.